Here are the rest of the summer essentials that we've put together and come up with. 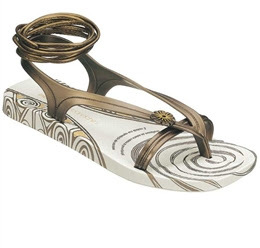 Starting with the casual flip flops, tired of the usual style try these new range by Gisele Bündchen. The new Gisele ipanema flip flops are a great buy this summer, with the large selection to choose from, you'd be spoilt for choice. They are fancy, unique and aren't that expensive, which caters to more people. 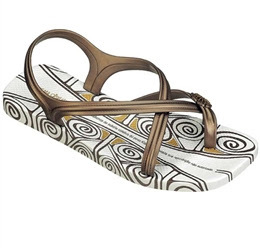 I'd really grab this pair of flops, they go well with jeans or to the beach. Tired of the normal flip flops, get these. Fancy some handmade accessories, bags, clothes, de'cor and paper crafts? Drop by Strawberry Jam, they stock up on mostly handmade items and though the items are pretty pricey, its worth a look. Anyway, I reckon these accessories would really spice up those looks this summer. Hit the beaches every summer and mass tanning gets underway. A glowing healthy tan is the envy and desire of most, but with the harmful effects of the sun, why risk it without the necessary protection. If you must have that tan, the alternative option would be a self tan home kit. The newly introduced Rococo Professional Body Kit comes with a gas cylinder to give an even tan colour, it apparently comes closest to those at a professional tanning salon. Rococo also supports the Clare Oliver Melanoma Fund. However, this product is only sold in Australia at the moment, you can purchase it from Rococo Body, I've included the link. EACH PROFESSIONAL KIT CONTAINS, instructions on how to apply. I love those sandals!! Want to trade links? Yeap! I might be getting them in 2 weeks time, and when I do I'll post pictures. Gisele actually came over to Australia to promote them. I also replied your blog, link exchange would be great!